Deliciously bad. If pressed to describe Just for the Record by Six de los Reyes in two words, those are the ones I would use. First of all, I was expecting a book where something happened between two people who never saw it coming. Maybe a little sweet and mostly fluffy. Instead, I got a tangled web of relationships where hot makeout sessions in recording studios and finding out a certain someone's tongue tasted like cotton candy didn't count. As cheating. As anything. Just because. You know how car wrecks can be a strangely beautiful sight in the movies? This whole book was like that. I was fairly certain Rhys and Isaiah's little affair was going to blow up in their faces, and I couldn't look away. The secondary characters are awesome, too, especially the beautiful but diabolical Nico. 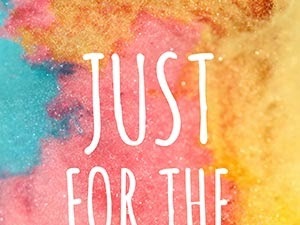 I've been lucky enough to read some of the author's other work, and the characters in them are connected in a lot of ways. It's fun wondering whose story you'll get to read next, to wonder who they'll end up with. My only quibble with the entire book was the ending. It left me hanging and made me want more... fireworks? Maybe it's just the drama queen in me talking, but I thought so much more could've happened. However, it does appear that Rhys and Isaiah's story is continued in a story posted on the author's Wattpad account. I'll definitely check that one out. 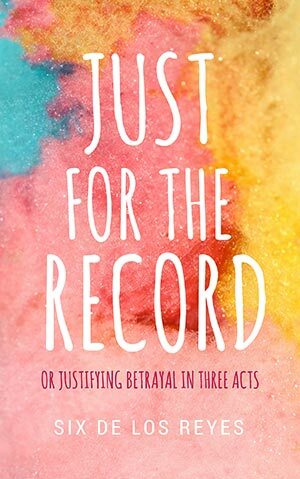 I highly enjoyed Just for the Record by Six de los Reyes. The book greatly captured the beginning and ending of a "relationship" between two people who just wanted to be needed. If you've been too much of a good girl and want to live dangerously (romantically speaking) for a few hours, give this book a try. Six de los Reyes has been reading and making up stories for as far as she can remember. In fifth grade, she learned to wield dragons and phoenixes through written word. As a pretend grownup, she writes contemporary romance and young adult novellas and novels. Her day job doing Science has something to do with being a part-time mermaid and a part-time labrat. She currently lives next to the sea. 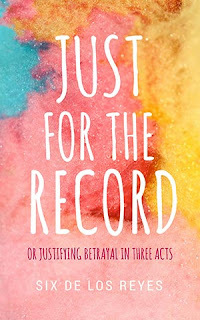 Her first new adult novella, Just for the Record, is available on ebook stores Amazon and buqo.